This book describes and explains Indonesia, Malaysia and Singapore's attitudes and policies regarding the Vietnam War. While it is generally known that all three countries supported the US war effort in Vietnam, it reveals the motivations behind the decisions of the decision makers, the twists and turns and the nuances in the attitudes of Jakarta, Kuala Lumpur and Singapore following the development of the war from the 1950s through to its end in 1975. Although the principal focus is the three supposedly non-aligned countries - Indonesia, Malaysia and Singapore, the perspectives of Thailand and the Philippines - the two Southeast Asian countries which were formally allied with the United States - are discussed at the appropriate junctures. 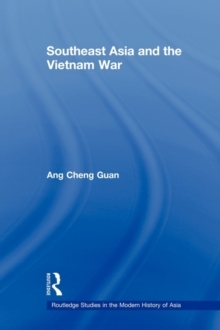 It makes an original contribution to the gradually growing literature on the international history of the Vietnam War and furthers our knowledge of the diplomatic history of Indonesia, Malaysia and Singapore in the early independent years, 1945/1949, 1957 and 1965 respectively, which coincided with early years of the Cold War in Southeast Asia.